Tulle & Combat Boots: pin love! 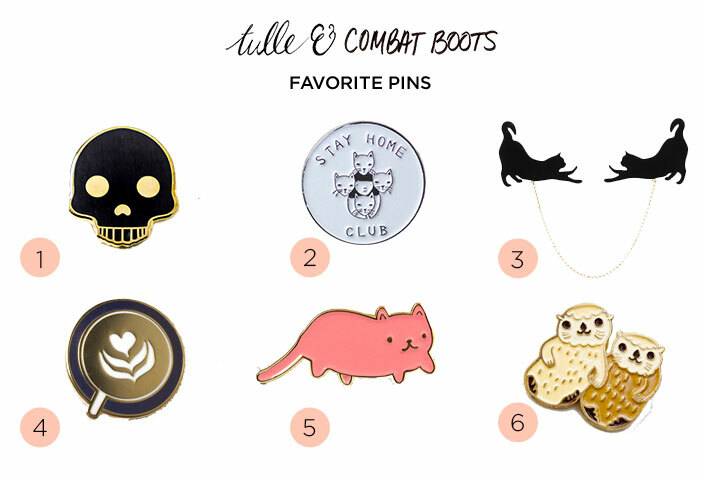 I've noticed lately that pins (mostly lapel pins made from enamel) are becoming a big thing on the interwebs, so I figured it was time to share my pin collection and some of my favorite pins out there. 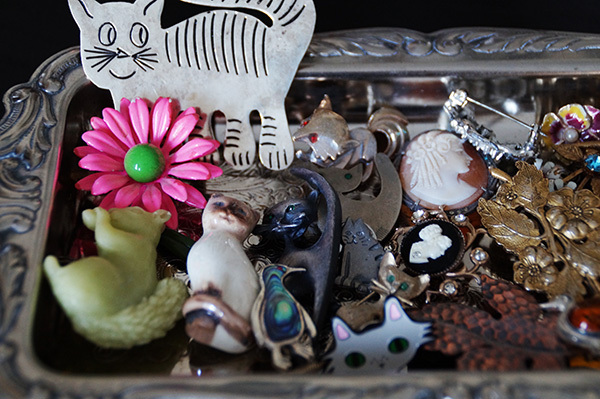 I started collecting vintage pins a few years ago—not necessarily on purpose, it just kind of happened. 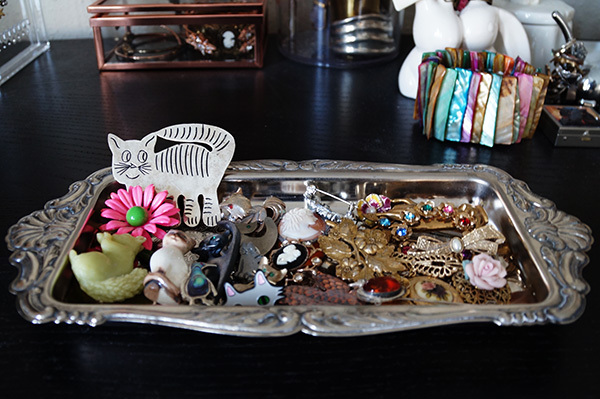 My favorites are cats (shocker) and cameos. 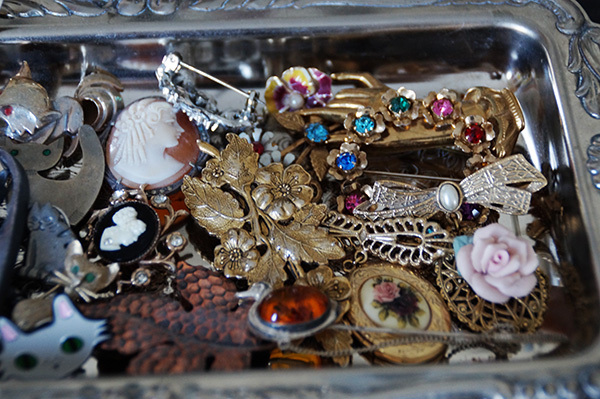 Most of the ones pictured above are vintage/antiques that I've found in random little shops, and a few actually belonged to my grandmother. I always try to remember to wear them so they're not just sitting there collecting dust, and I love that I've been seeing more ways to incorporate them into outfits lately. Definitely check out ban.do, Pintrill & Etsy if you're looking some cool pins—and let me know how you're showing them off!